Are you really hurt or angry with your Capricorn man and are considering giving him the silent treatment? You probably shouldn’t do that though. Here are the reasons why it won’t work out in your favor if you are ignoring a Capricorn man and giving him the cold shoulder. Capricorn man loves attention and especially expects it from his partner whom he loves or cares for. If you get upset with him; the thing to do is to be honest with him. Giving him the silent treatment will really hurt him and will be used as a strike against you. In the event that he did something that hurt you; you may feel tempted to get some revenge by purposefully hurting him. Yes ignoring him will accomplish that goal but to what end? Do you want to work it out with him or do you want to cause more issues that will pile up and cause the ending of your love? Be very careful what you feel in the heat of the moment. Going somewhere to calm down away from him may be alright if it’s short-term but if you’re planning on being ice cold to him; you may want to think again. If this is your normal “go to” behavior; perhaps you should look at changing this. Keep in mind that the Capricorn man has a moral code he lives by and if you wish to play head games with him by giving him the silent treatment; he will absolutely see you as someone he cannot rely on. This would mean that he may consider dropping you like a hot cake. It may be the first time you do it or it may be the 2nd or 3rd time. He will do it though; I promise you. He will only put up with so much. Again, if he’s hurt you or made you angry; you need to calm yourself down and then talk to him rationally and logically. This way you build respect and trust between the two of you. Unless you’re ready to let him go or to be dumped then I highly advise you not to play the silent treatment game with your Capricorn man. He takes it very seriously and will keep a mental note of it. The Capricorn man wants a partner that he can absolutely depend on. If you’re the type that cannot handle the heat so you ice him out instead; you will show that he cannot trust you or rely on you. This adds to the pile of “she’s out the door” in his head. There are so many other things that I can add to this pile but what you need to keep in mind is that Capricorn men do NOT like to be ignored. It’s literally the worst thing you can do to them. It doesn’t matter how upset you are with him; you need to remember that he doesn’t respond well to not getting your attention. It’s actually more beneficial for you to get angry and let him have it than it is to not talk to him. He considers the silence to be his worst enemy. He feels rejected and very pained when someone stops talking to him. The worst is when he doesn’t even really know why you’re upset in the first place and you’re ignoring him. Don’t do this to him unless you are ready to accept the consequences of your actions. He may have done something that really got under your skin and you want to punish him for it but in all, honestly, talk about it. Get it off your chest and let him know what he did wrong. This should be standard for ALL relationships. If it’s not there; the relationship will fall apart if it even gets started. That being said; if you cannot communicate with your Capricorn; you need to look at your own insecurity or temper. Even if your Capricorn did something genuinely frustrating or hurtful; lashing out with silence isn’t the right way to handle it. It may be something you’re used to but he isn’t and he won’t respond well to it. He isn’t the type that will come running or chase after you if you ignore him. In fact; he’ll chalk it up to you not really wanting to be with him and he’ll perhaps start icing you out if he doesn’t just up and break it off. I cannot express this enough; do not EVER ignore a Capricorn man. It’s better you be explosive and get out your feelings than to bottle it up and keep silent. He’ll think you’re lying to him, keeping something from him, or that you’re up to something. Giving the silent treatment seems a bit childish in the mind of a Capricorn man. He wants a woman, not a girl. That being said; you’ll find that you are able to build respect with the Capricorn guy by talking to him. If you’re hurt or angry, tell him why and what caused it. Be totally 100% honest. Tell him “when you did this, it made me feel awful”. I’m not saying that you should lay all blame on him but think about both sides of the coin. Know that your Capricorn man may be very much oblivious as to why you’re even upset which then hurts his feelings that you won’t talk to him. He’ll think the trust really isn’t there and it may make him want out. The best thing you can do is respect him by respecting yourself. If he does something uncalled for; let him know! How can he ever remedy something if he doesn’t know what went wrong? Let him know what happened and how you feel about it. Then there is less of a chance of him doing it again and your communication opens up better. Don’t EVER ignore your Capricorn man and expect to win him or keep him. 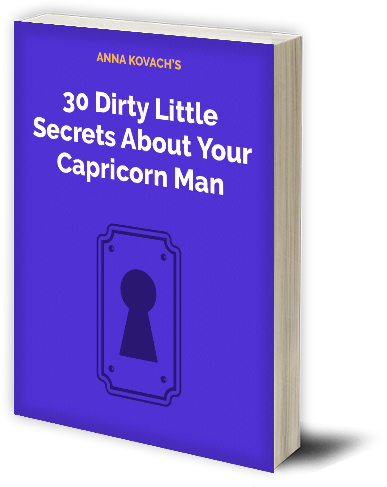 PreviousPrevious post:How To Get a Capricorn Man To Marry You – Get Him Secured!